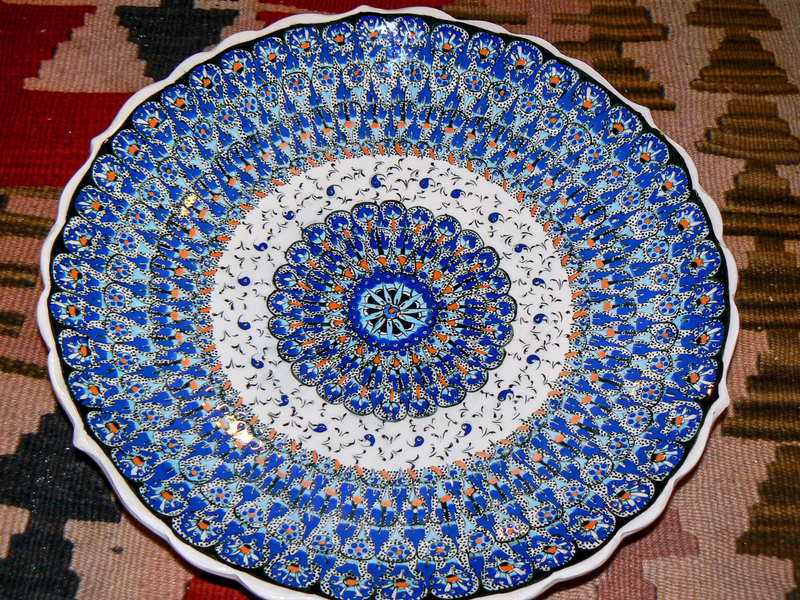 All images for this post are from Turkey and represent art through history in various forms, but all in the round. Cappadocia in Eastern Turkey is steeped in history and tradition. One of these traditions is pottery and ceramics. Tiles and plates decorated with the patterns of Isnik and other areas are made here for the flocks of tourists that pass through the region. These are the patterns favoured by the Ottoman emperors of old. 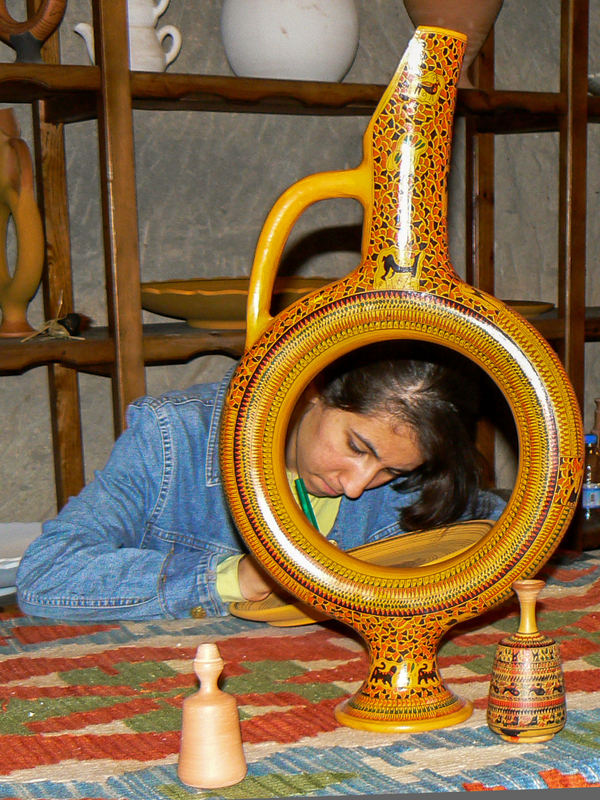 Here at Firca Ceramik in Avenos a current day artisan decorates an ancient Hittite pattern ceramic jug in an underground studio. 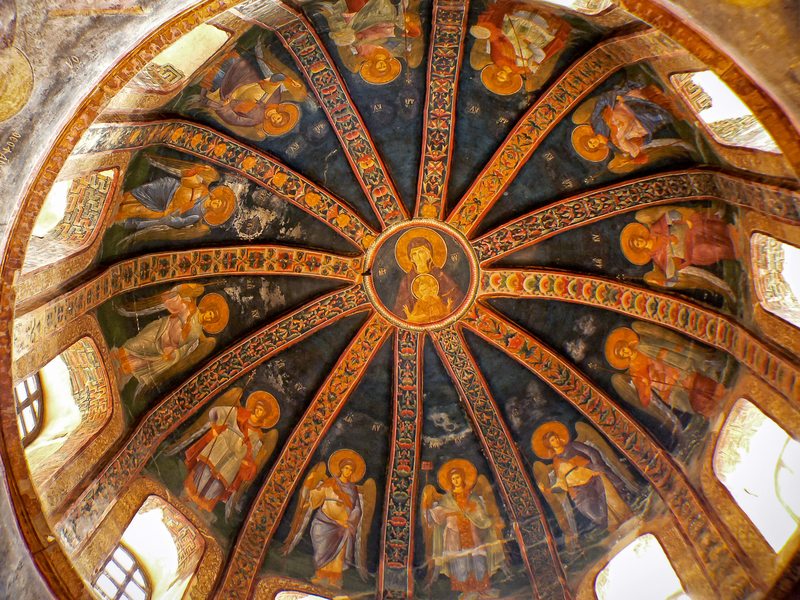 For me the best image for “round” comes from the Chora Church in Istanbul. The Church of the Holy Saviour in Chora is considered to be one of the most beautiful surviving examples of a Byzantine church. In the 16th century, during the Ottoman era, the church was converted into a mosque and, finally, it became a museum in 1948. The interior of the building is covered with fine mosaics and frescoes. One of the best of these is in the painted dome of the parecclesion (side chapel) of the church. It is a truly wonderful fresco. The Chora Church is worth going out of your way to visit if every you have the good fortune to visit the wonderful city of Istanbul. This entry was posted on January 18, 2013 by alphathread. It was filed under Buildings, Chris Gregory, Exploration, People, Travel, Turkey and was tagged with architecture, Cappadocia, ceramics, Chora Church, fresco, Hittite, Isnik, Istanbul, pottery. Thanks Chris! You have encouraged us to begin the first step of travel and that is listening to other travelers! We’re thinking about Turkey,Greece, Croatia, and Italy! All new places for us. What a wonderful combination of countries. Haven’t been to Croatia yet, but a friend keeps threatening to come with us when we finally do – he has Croatian family links! Enjoy your planning.